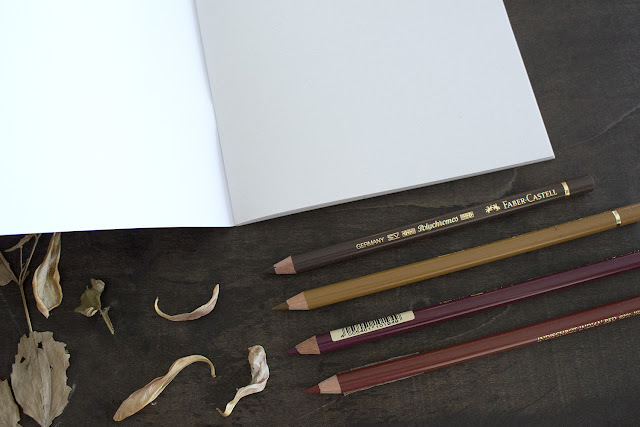 I can't tell you how excited I am that I have this new section in my collection: stationery! I already had prints available, but I'd like to make the section a bit larger than it is now. 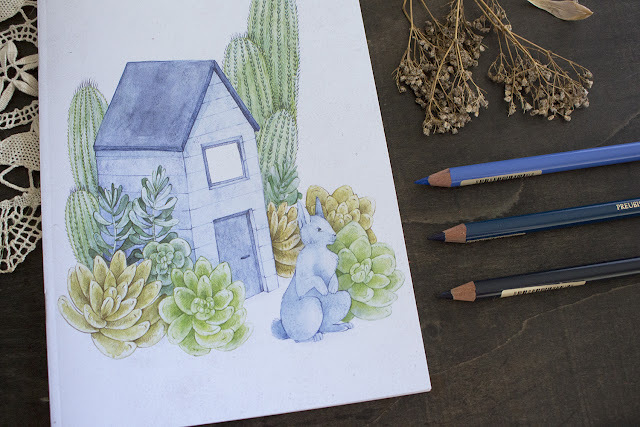 Two designs were printed and turned into a notebook: my brown bear and my newest illustration featuring a blue rabbit and its home. This illustration has also been made into a time lapse video which you can find at the end of this post! Both notebooks come in two sizes: A6 and A5. Before placing my print ordered, I asked around as to what size is used most often and the answers were so different each time. Having both sizes available felt best. A6 is commonly used as a pocket notebook to quickly write down ideas, sketch something small or when you don't want to carry a lot of weight with you. 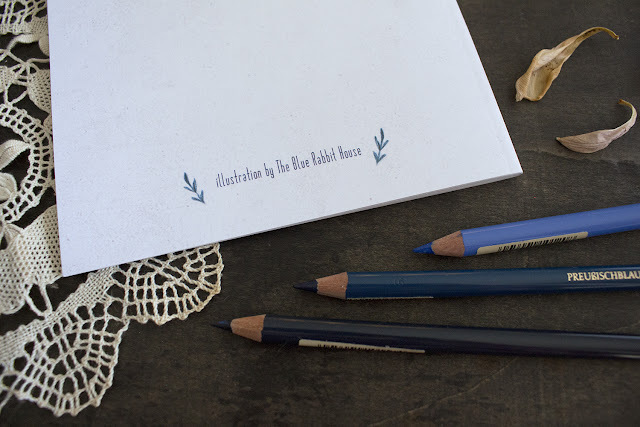 A5 on the other hand is used for writing down full projects, doing sketchwork either for that project or for larger practice or to use as an art journal. I personally use both sizes myself. A6 to carry around with me or to sketch out ideas and A5 for larger drawings/illustrations. Though, lately I tend to stick with A6 and work on loose paper for the final illustration. To me it was important that the pages of the notebook were of good quality and recycled, which I managed to find! 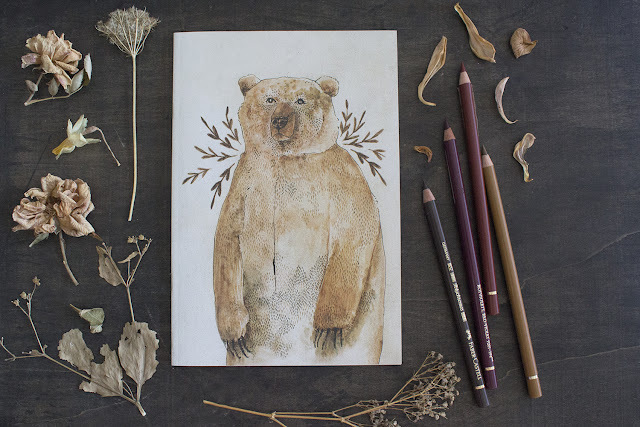 The recycled paper is 80gsm and is slightly off white - a favorite of mine to work on with (colored) pencils. And here's the video I mentioned earlier. I enjoyed making it so much and I have plans to make more in the future. Gepost door the Blue Rabbit House. op 11:10 a.m.
Beautiful little notebooks! 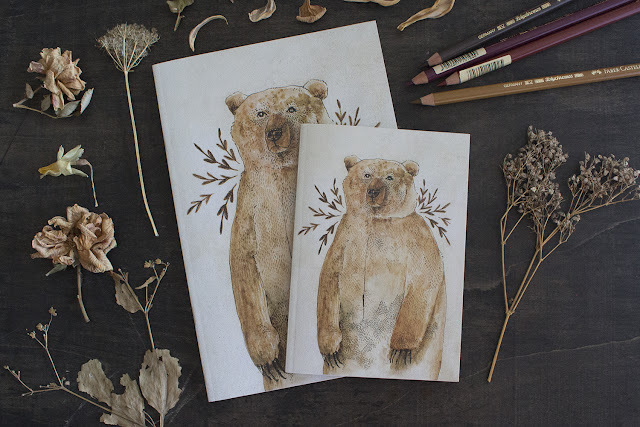 I love notebooks so much and your illustrations look awesome on them! These are awesome, love both sizes and both illustrations! I have a thing for stationery...arghhh too pretty! 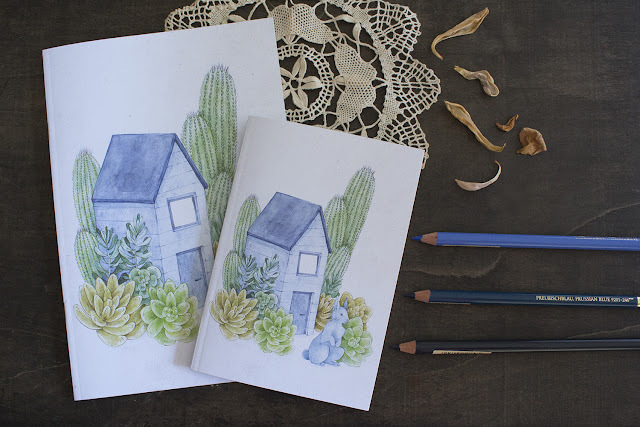 I love stationery and your illustrations look great on notebooks! The blue rabbit is so sweet. Loved the video. I started to go to a watercolour painting course myslef, so it is very interesting to watch how it should be done. Aww! They are so cute. Love them. I love them! And what a great idea to feature your podcast in this post! This is just the best idea you can have to present your work! Looks great! 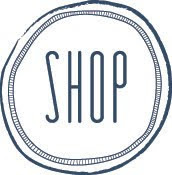 Congrats for the great notebooks in your shop! And the fact that you found the perfect one with recycled but thick pages is great!